Sharp and structured, strong yet gentle, the Magnolia packaging exudes stability and grace with petals gliding elegantly into full bloom to reveal its hidden treasures. 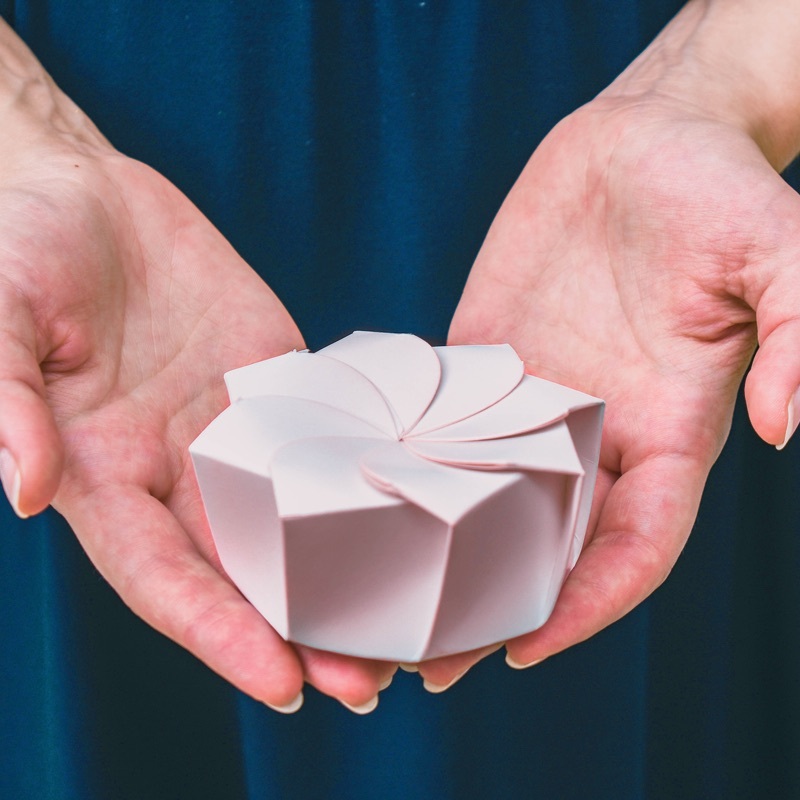 Being the first packaging design we developed, it has the versatility to transform into a range of uses—be it an innovative takeout box for bibimbap, a pastry box for carefully crafted cakes, or a gift box for wedding trinkets. The distinctive form is easily recognizable and fosters spontaneous conversations. It has a self-locking mechanism that glides into close/open position with minimal effort for ease of manipulation. For comfort and stability, the shape of the box fits perfectly in the palm of the hands while the octagonal sides make for better grip. The idea of the flower box is to bring delight through the act of discovery when opening a package. The Magnolia packaging structure has an octagonal base and eight flaps. When closed, it resembles a bud delicately cradling its precious contents. As it opens, the box mirrors a blossoming flower in spring gliding gracefully into full bloom to reveal its hidden treasures.